Preserving Parker’s heritage and charm while cultivating a vibrant, mixed-use destination and activating public spaces. A destination for local and regional patrons that provides a vibrant local market with mixed-use buildings. A hub for locals that connects downtown Parker to the west. A charming, active and exciting area of Town that combines modern amenities with Parker's traditional aesthetic and values. A lower-cost business environment for non-medical related and start-up businesses. An exceptional mix of 2-4 story buildings to enhance and maintain historic Parker. A thriving residential area to support commercial and office development. 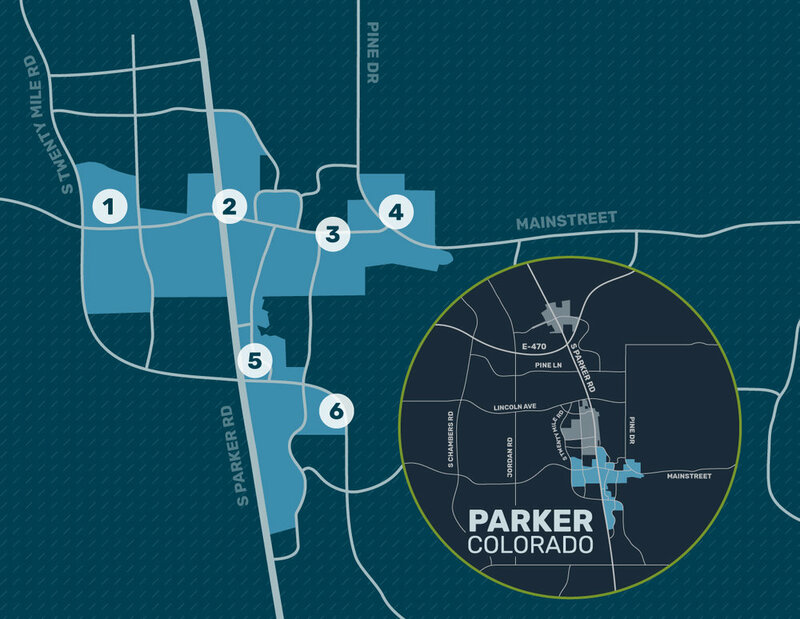 The Town of Parker adopted the Parker Central Area Reinvestment Plan May 28, 2009 and amended the plan October 19, 2015.